The Nike Air Max 97 has surely seen its fair share of releases in 2018. As the year comes to a close, Nike blacks out the sleek runner with a small dose of anthracite on its midsole. The full-length Air Max unit matches the tonal upper with metallic gold accents shared on the Swoosh logos. Lastly, the simple colorway is finalized thanks to 3M reflective accents throughout the upper’s piping. 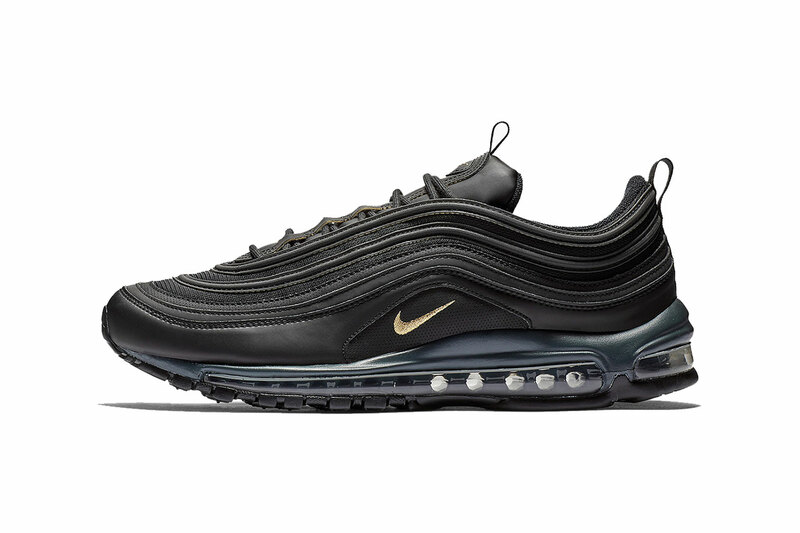 The Nike Air Max 97 “Black/Metallic Gold-Anthracite” is currently available for $170 USD at select Nike Sportswear stockists such as Foot Locker and nike.com. Nike fans can also take a closer look at the forthcoming A-COLD-WALL* x Nike Zoom Vomero +5.